Ford Kuga Running Costs, MPG, Economy, Reliability, Safety | What Car? At the lower end of the range, the Kuga seems reasonably priced; it isn't that much more expensive than family SUVs, such as the Seat Ateca and Nissan Qashqai. However, if you want a gutsy engine and a healthy amount of standard kit, all of a sudden you're looking at an asking price broadly in line with such appealing models as the Mazda CX-5 and Peugeot 5008. Admittedly, the Kuga is available with some pretty tasty discounts if you're prepared to haggle, but the flipside is that it won't hold onto its value as well as its aforementioned rivals. 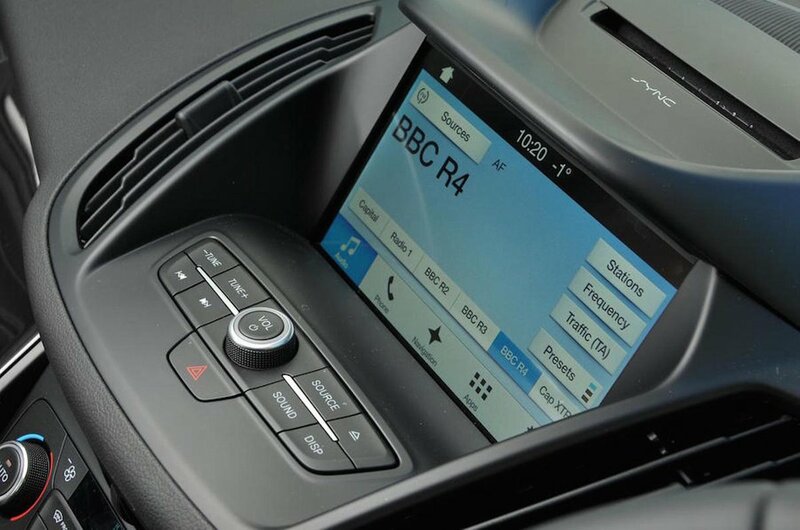 As a company car, however, the Kuga makes more sense – particularly the 1.5 diesel but also the 148bhp 2.0 diesel. The latter engine (with front-wheel drive) achieved a respectable 43.9mpg in our real-world True MPG test, although the equivalent CX-5 diesel managed 48.3mpg. There are no low-emission hybrid options, either, to rival the Honda CR-V or Toyota RAV4. Ford’s finance deals tend to be competitive, with low interest rates and dealer deposit contributions routinely available, along with fixed-price servicing that can be split into monthly payments. Vignale models are available with preferential finance deals, although they still don't make much financial sense. 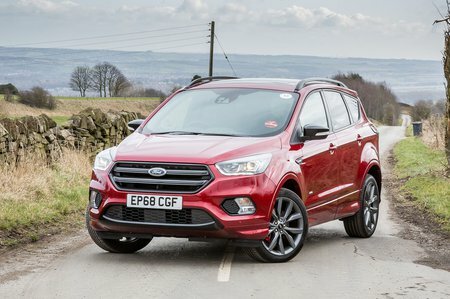 Entry-level Zetec trim offers the best value in the Kuga range. It brings the essentials as standard: air-con, electric windows and cruise control, although we would be tempted to pay extra for the optional 8.0in touchscreen infotainment system. Moving up to Titanium Edition brings a few niceties, such as the upgraded infotainment system, dual-zone climate control, rear parking sensors, part-leather seats and automatic lights and wipers. ST-Line models are the sporty option and are dressed up with a bodykit, sports suspension, 18in wheels, black detailing for the outside and floor mats with red piping. The range-topping Vignale gets a powered tailgate and is upholstered with Windsor leather on the seats, interior doors and dashboard. But we wouldn't recommend this trim or even the slightly cheaper Titanium Edition X or ST-Line X Edition, because there are much better cars out there for the money. The good news is that the Kuga is one of the most reliable cars in its class, although it was beaten by the Mazda CX-5 in the 2018 What Car? Reliability Survey. Ford as a brand didn’t fair quite so well, though: out of 31 manufacturers, it came 18th, ahead of Peugeot, but below Skoda and Mazda. The combination of a three-year, 60,000-mile warranty and a year’s roadside assistance in the UK and Europe is merely average for this class, when alternatives such as the Kia Sorento offer a seven-year warranty as standard. You can extend the Kuga’s warranty to four years and 80,000 miles, or five years and 100,000 miles for a reasonable extra cost. In what seems an odd move by Ford, buy a Vignale model and you’ll get a car that goes through a myriad of extra quality checks after assembly compared with other Kugas and which qualifies for better dealer aftercare. Ford will even collect and return your car before and after servicing it. All versions have seven airbags, including a driver’s knee airbag, as standard. It is, however, very disappointing that you have to pay extra for automatic emergency braking on even the range-topping models, and unforgivable that you can't add this crucial safety aid on entry-level Zetec trim. Other safety aids, such as blind spot monitoring and lane assist are part of the optional Driver Assistance Pack. The Kuga scored the maximum five stars when it was put through the Euro NCAP crash test in 2012, with particularly strong scores for adult protection (94%) and child protection (86%). However, Euro NCAP's test is considerably tougher nowadays, so it's hard to say how well the Kuga will protect you compared with newer rivals. 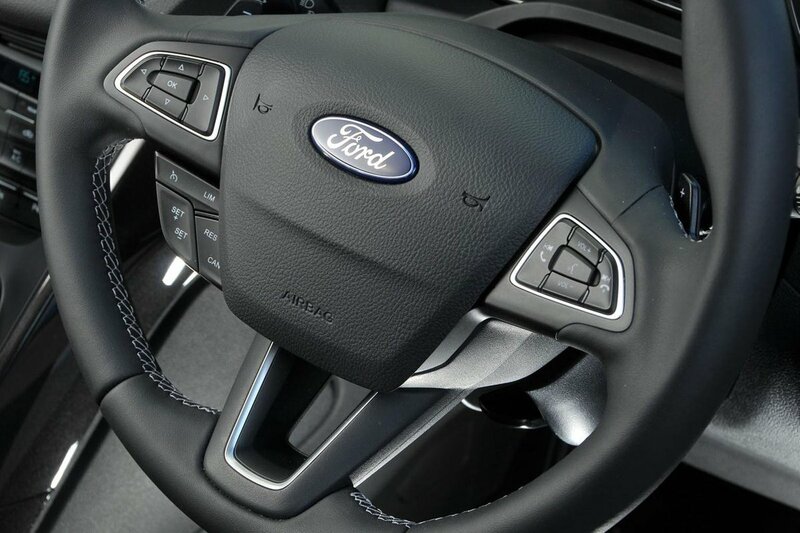 An alarm and immobiliser are standard, and security experts Thatcham Research awarded the Kuga five stars (out of five) for its resistance to being stolen and four out of five for guarding against being broken into.